All we are is Stardust and water. Twinkle, Twinkle little stars, in part 7 you will be making Cosmic Stars. I had great fun designing this stitch, once you get the idea it is really quite simple. Please use the video and photo tutorial to help you to get the placement of the stars correct. Each round is getting longer now, as we continue our journey through the Cosmos, please remember to use your stitch markers and follow the instructions carefully. You will have a rectangle again at the end of part 7. 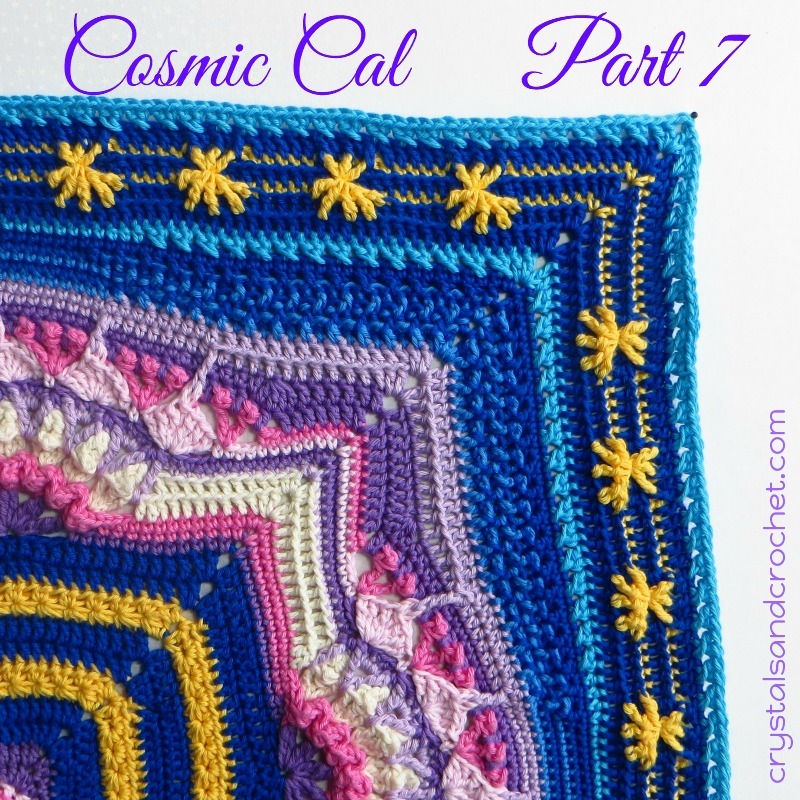 Part 7 of the Cosmic Cal, sponsored by Stylecraft Yarns. Thank you for a great pattern and very informative videos. once downloaded they should stay in the folder you saved them to, but if you are just saving links, then it may change if we have uploaded a new version with corrections…although we have only done that twice. Thank you so much for all your time to do this for us every week!